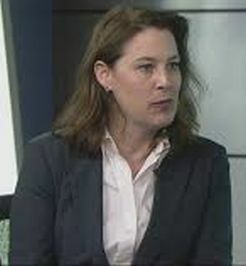 Other than co-hosting a couple election night broadcasts on CVTV, I’ve never seen her participate in council meetings, campaign for any candidate, attend any political rally for either party and never participated in a single Veterans event I have attended on this side of the river nor participate in any Washington State election. Of course she’s much too smart to have voted since she would have violated voting laws by being an out of state resident. 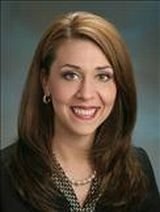 Jamie Herrera-Beutler is so scared of her constituents that she refuses to hold honest town halls. At this point I would vote for an inanimate object over JHB. Only by kicking her out can we get a decent replacement. Voting for her is like an abused spouse sticking around in the abusive marriage. I will vote Long in hopes that JHB gets removed. How else can we improve??? PS – Astonishing her arrogance in voting for the insurance companies as she gets to partake of the glorified Congressional insurance plan (w/ her child’s unfortunate medical insurance situation), while leaving us mopes to suffer. I sincerely wish she had to suffer the same insurance hell as her constituents. Funny you should bring that up, Josef. I have been to face to face townhalls with her, called into telephone townhalls and even spoke with her face to face, all the while she knowing how much I opposed her back in 2010. Seems I also recall her holding a face to face townhall at the 40 et 8 building in Hazel Dell to a rather raucous crowd, some even boasting on C3G2 how unruly they were towards her. I can understand why she prefers fewer face to face townhalls with audiences like that, not willing to listen and trying to shout her down. You are free to vote your conscience as we all are. But regardless of what is said about her, I just can’t see handing Southwest Washington over to the whims of Portland and Oregon to do with us as they please. Strange that as well qualified Democrats proclaim Long is, her every campaign email is a constant drone of how bad Jaime is, no mention of any qualifications of Long, other than she taught at WSU with no mention of scurrying back to Oregon at the end of the day. BTW, I’m still not planning on doing whole scale posts in regards to campaigns. I like to think I follow Clark County politics. Had anyone heard of this? Isn’t it time to vote out a liar and get someone better? As for liars, why vote one in? Carolyn Long isn’t being upfront about her devotion to Oregon and lack of involvement in Southwest Washington plus she calls for civility, but refuses to condemn the extreme incivility from her own party and within her campaign emails. She should be talking about her qualifications more than slinging mud at her opponent. Answering constituent questions wouldn’t hurt her either. As vicious and uncivil as local Democrats have proven themselves to be, I don’t blame Hererra-Beutler one bit for not holding those free-for-alls. I was at one of her earliest meetings soon after she was first elected. Democrats were threatening physical violence against Republicans – it happened just a few feet from me. Democrats were rude to the Congresswoman and constantly interrupted her when she was trying to answer questions. Even if I didn’t want Jaime Hererra-Beutler to be re-elected, I certainly would not vote for a carpetbagger to replace her, let alone an Oregonian. Jaime is doing an outstanding job representing the interests of Southwest Washington. Her success in dealing with the seal problem and her commitment to protect the interests of Washington commuters are just two examples. I think we all know what Carolyn Long’s response would be to Oregon’s infamous plan to toll the I-5 and I-205 corridors. I fully expect Jaime to return to the US House of Representatives. Carolyn Long will be a footnote on Wikipedia. I will not vote for a Democrat … but I will be entering “Paul Ryan” in the write-in space in the WA 3rd Congressional District ballot. The “empty suit” Jaime Herrera-Beutler made it clear that is the appropriate response when you disapprove of the Republican candidate. I moved to southwest WA a bit over 6 years ago. I voted for Ms. Buetler in the past — but I have seen very little actual accomplishment on her part — she has one of the WORST attendance records of any in Congress — and her voting record is BARELY better (from a conservative standpoint) than the most “conservative” Democrat (from Washington). Ms Beutler could have done several things to ensure that southwest Washington’s interests with respect to CRC and other cross-border issues were strengthened — but nothing but silence. Foregoing comments state that Ms. Beutler has had “open” townhall meetings … but I never heard about them. I received a message suggesting that I “ask for an invitation” to a “coffee klatch” meeting. I submitted my name and contact information (this was 3 or 4 years back — but no response). FWIW, once upon a time I made modest donations to select Republican candidates (and even worked as a volunteer in a campaign headquarters in my previous state). But ever since Speaker John Boenner appeared to have no balls, I quit making such donations. (I have not donated to Ms. Beutler’s campaigns.) My spouse tells me, if I don’t vote for Beutler, The Democrats might win the house and then impeach President Trump. So what if they do? So much the better. It will RUIN Democratic election possibilities for 2020 and beyond — just as it had very negative impact on the Republicans after the debacle of the Clinton Impeachment. We each have the privilege of voting however we like and owe no one justification for our vote. FWIW, I attended one of those ‘coffee klatches’ in Battle Ground and even spoke one on one with her after. It was well attended and actually much less raucous than the last actual townhall held at 40 et 8. But I think what amazes me the most is how much grief I caught from Republicans back in 2010 for opposing Jaime and retaining my support of Castillo throughout the primary, but today those same Republicans despise her. Maybe one day they’ll learn to listen more and review documents presented over falling in lock-step with the party hierarchy. “Give us the Senate,” the R’s said. So the voters gave ’em the Senate, too. Still, nothing effective was done. Indeed, the idiots in charge, despite having experienced the roughshod tactics of the Dems, the R leadership “restored regular order” (which is easily manipulated to delay and deflect legislation). “Give us the presidency, too, they said.” So the voters gave ’em Trump (not the favorite choice, but probably the ONLY (nominal) Republican that could have been elected due to the Democrats incompetence). Still, Obamacare remains. Still, there is NO free market in healthcare (where the real cost savings and quality improvement can come from). Corruption as usual. Democrats announce and implement “resistance.” Republicans respond with what?? Anything? If McConnell had the balls, he’d have put out a schedule with the Senate in session 18 hours a day, 7 days a week, with no breaks or recesses until the backlog of Trump appointments were approved. But NO. Business as usual. Corruption as usual. Screw the voters. Let the Obama bureaucrats stay in place to continue the resistance from the deep swamp. As for Jaime Herrera-Buetler, her record speaks for itself. Southwest Washington is fairly conservative with the exception of a few precincts in the People’s Republic of Vancouver (and the useless local newspaper). There is no reason (other than the local incompetents running the Republican party) that we shouldn’t have some serious conservatives who could influence both the state legislature and make their mark in Congress. Herrera-Buetler is a back-bencher of no particular value to the people of Southwest Washington. She will remain in Congress as long as she wishes as it is near impossible to overturn an incumbent from the same party — the more likely route to a better quality Congressperson would be for the opposition party to take her seat away from her — for a term — then elect a superior candidate (who is more likely to enter the fray as an opposition candidate). For what it’s worth, I too haven’t voted straight party line in forever. And if you recall, it was Republicans giving me all of the grief beginning back in 2014. I don’t vote party, but for the individual if I feel they are the better candidate. In this case, Carolyn Long hasn’t shown herself better. My opposition to Long is not based on her being a Democrat, but her being a carpetbagger with absolutely no history of engagement in Southwest Washington until she decided (or was chosen by the party) to oppose JHB. That tells me that as we face many issues of Oregon desiring to “stick it to” Southwest Washington, we don’t need a representative favoring Oregon over Washington State. No argument from me over the spineless GOP, but I prefer not to jump from the frying pan into the fire by supporting a far right tyrannical faction that would hand everything to the socialists because their fellow far right candidates don’t appeal to the majority of voters. And while it may be true that JHB isn’t of any value to Southwest Washington, at least she isn’t of value and supporting whatever Oregon desires to impose on us while denying us a voice.